Tamika, an assistant principal in a large urban school, is strong; she’s been told this for as long as she can remember. For Tamika, being strong is a heavy load, a burden that she has carried selflessly and silently nearly all her life, a burden she can’t put down. She is the consummate workaholic who maintained two jobs through undergraduate and graduate school as a single parent to pull herself and her two children out of the inner city. Since she is the first in her family with a college degree, she is often called on to offer financial help to family members in need. Driven to overcommitment, she agreed to chair her church’s annual fundraiser, when no one else stepped up. Perceived as capable and competent at school and able to “rise above it all,” she is seen by her colleagues as the one to turn to in order to get things done. Strongly independent, Tamika prides herself on being task-focused and able to suppress momentary hurts or needs. When she lost her maternal grandmother to breast cancer a few years ago, she “knew she had to be strong for everyone,” which meant organizing funeral arrangements and attending to others’ needs. She can’t remember shedding tears; she was so focused on care taking. Tamika has trained herself not to have needs, not to rely on others, to “keep going despite the odds,” and to take care of others, though frequently that means putting herself last. An enormous amount of energy, she says, goes into “appearing strong,” even when deep down inside, she feels overwhelmed or sad. When these feelings arise, she pushes them away, afraid of their monumental sweep. “The Strong One,” people say, and she agrees. “Never let your guard down; wear your game face” is her stock-in-trade. Occasionally, a flash of doubt or fear or anger erupts inside her under the weight of it all. At those times, she knows what to do: she looks the other way, or she gets busy. She wears it all as a “badge of honor”: the price paid for being a mother, nurturer, breadwinner, and more. The burden of strength is learned not only by Tamika but by countless women, women of color and African American women in particular. These are lessons handed down from grandmother to mother, from mother to daughter. 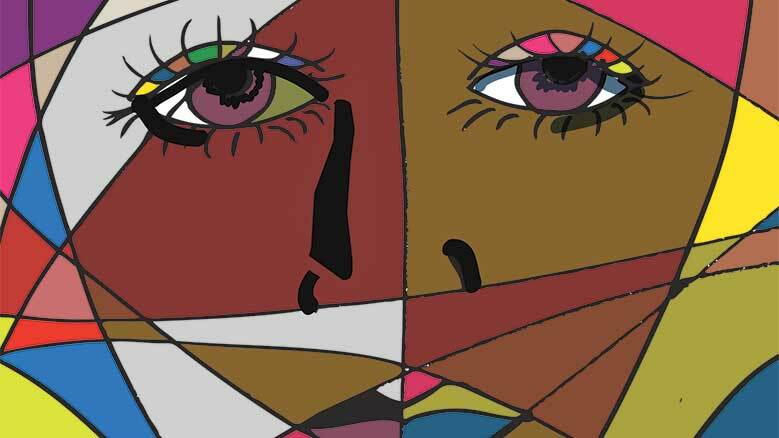 This essay examines the collateral consequences of “strength” among women of color and how Quaker faith and practice might help. It is based on a presentation that was given with my colleague and friend Kirsten Olson at Harvard’s Graduate School of Education, Alumni of Color Conference in February 2015. What is the “Strong Black Woman”? The literature on the “Strong Black Woman” (SBW) began to appear about a dozen years ago in the work of Tamara Beauboeuf-Lafontant, although it continues to be an untold story hidden in plain sight everywhere, seemingly so culturally pervasive as to go unnoticed. The archetype is an offspring of the superwoman identified by Michelle Wallace in her seminal 1978 book Black Macho and the Myth of the Superwoman, which explored the masculine, patriarchal bias of 1960s’ black politics. Since then, African American feminist scholars and mindfulness researchers have identified the Superwoman Schema (SWS) and other conceptual frameworks. Core features of these frameworks include the following: obligation to manifest strength, obligation to suppress emotions, resistance to being vulnerable or dependent, determination to succeed despite limited resources, and obligation to help others. Obviously, some of these characteristics are not unique to the Strong Black Woman, nor are these inherently negative attributes. The Strong Black Woman syndrome is not limited exclusively to women of color nor black women in particular. These frameworks impact white women as well. It is the excessive embodiment of these characteristics that interferes with physical, emotional, and spiritual well-being. These frameworks share a common core: they are adaptive responses that enable coping with stress, yet come with physical, emotional, spiritual, and psychological distress. These core “superwoman” features may stifle authentic self-expression, authentic identity, and one’s true self. Donning the armor through repressing grief, hurt, and sadness; covering emotional distress with an outer façade of independence, imperturbability, and caregiving becomes an unconscious and unexamined coping mechanism with potentially dire consequences. Emotional stoicism, a façade of control, selflessness, and silence, and the burden of invulnerability are normalized in our very womanhood. This may diminish our capacity for inward reflection and prayer, as well as a relaxed openness of heart and mind to God’s presence in and around us. This invulnerability, gritty determination, and willpower is at odds with yieldedness in prayer to God’s will, a surrender, a trusting what is unknowable and yet vitally present. It affects a sense of relaxed attentiveness that expresses itself in prayer. Even finding space and time to be and breathe—a quiet, sheltered place of reflection—is challenging. Awareness, a critical component of an intentionally prayerful life, is compromised. The enormous energy to appear strong and the socially imposed obligation to rise above it all is exhausting. Additionally, roles the Strong Black Woman has adopted out of necessity as mother, nurturer, and breadwinner add to the feeling of being overwhelmed. This affects not only our individual prayer life but the corporate life of our meetings. How do we foster a spiritual community where giving and receiving mutual support is recognized and nurtured? How do we create welcoming and inviting space for the Strong Black Woman among us? For Friends, it is important to recognize and understand how our unexamined, unconscious assumptions; impulses; and underlying family patterns, beliefs, and expectations shape our thoughts and behavior, our leadings. Your thoughts and feelings, desires, attachments, and fears; your response to people and places, and to what is happening around you are all moments in which you create a unique relationship with Truth. Where and how do our Quaker communities begin reimaging the Strong Black Woman, and how do we re-fashion strength within these communities? First, as women of color and women in general, we must cultivate self-awareness and honor the full range of our emotions, including vulnerability. Second, we must recognize the negative internal monologue, which, when combined with stress, activates the threat-defense system, sending us in a downward spiral, and begin to nurture self-compassion through self-care. Self-care is not selfish; it is caring for one of our greatest assets. Welcoming the Strong Black Woman means caring for ourselves and turning to others for support. This means both receiving and offering support within our Quaker communities. Third, we must move beyond self-silencing to honest, open dialogue in safe spaces to talk about our vulnerabilities, not over-sharing, or grabbing another’s attention through sensationalism. Finally, as women of color and women in general, we must acknowledge and celebrate our emotions, our feelings, our humanness, and find ways, through formal and informal gatherings and planned meeting retreats, to welcome the Strong Black Woman.